How to install livechat in a Magento.com shops? 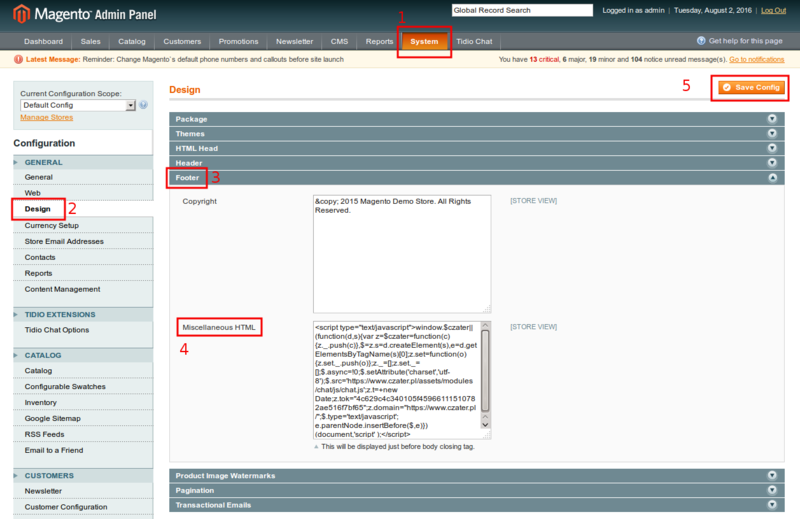 After logging in to the administration panel on Magento, from the menu select System (1). On left menu block, select Design (2) and Footer (3). On window Miscellaneous HTML (4) paste chat code and click the button Save config (5).